Usually a surprise is always loved. In Korea, the 5 members of TVXQ were used to live together. 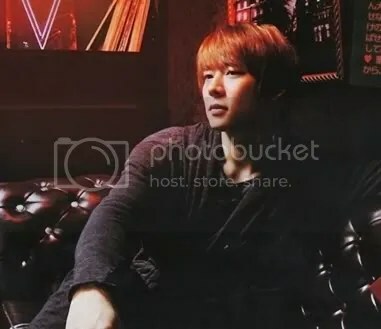 But last year, it’s said that Yoochun had moved to a different place. He’s a kind who cherishes his family more than anything, but also appreciates more to the relationship with other members and fans. As the composer of “Kiss The Baby Sky” which was released on January 21st, and also is responsible as the arranger, he really shows a great talent. When being asked “10 years later, which year’s memory is so far considered as the best memory?”, all members simultaneously answered, “2008!” with no doubt. “It’s nothing but just a date ‘to-do-with-happiness’. I really want to spend days in good time like this with my gf. If the time is enough, I also want to go to the sea… resting under the palm trees. 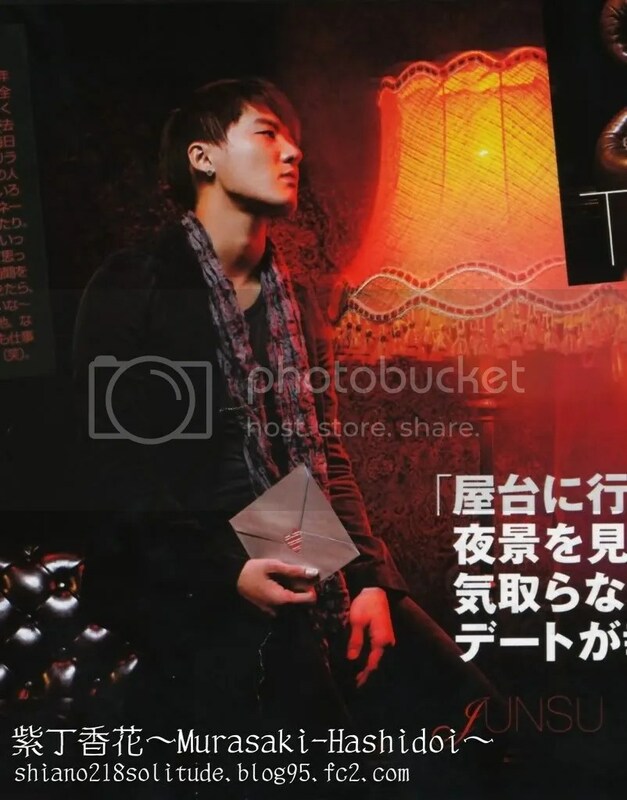 Junsu is the mood maker of TVXQ. He can sing all of sudden during a shooting, and can’t stop his face from smiling. He’s very polite, always appreciate the staffs, and says “thank you” to his manager. Behind his cute face, there’s a deep feeling of a sweet boy hidden. My Valentine’s day’s date is very very simple. If I can spend that day with person whom I love, it’s already good enough. I won’t ask anything from the girl I loved, if the two of you can be together in one day, it’s just perfect. Because I love to give something to people, if a woman asked me to do something, if I can do it, then I will do. “Instead of doing solo, it will be better if I can grow up together as Tohoshinki.” Yunho said. In fact, when Jaejoong was shy at shooting time, he would talked first to him, and when the other members were too noisy, he would said “Please quiet!” … or just calling the others’ attention naturally. “I want to do more and more busier work!” he said in such passionate. He’s maybe a kind of husband in dream.